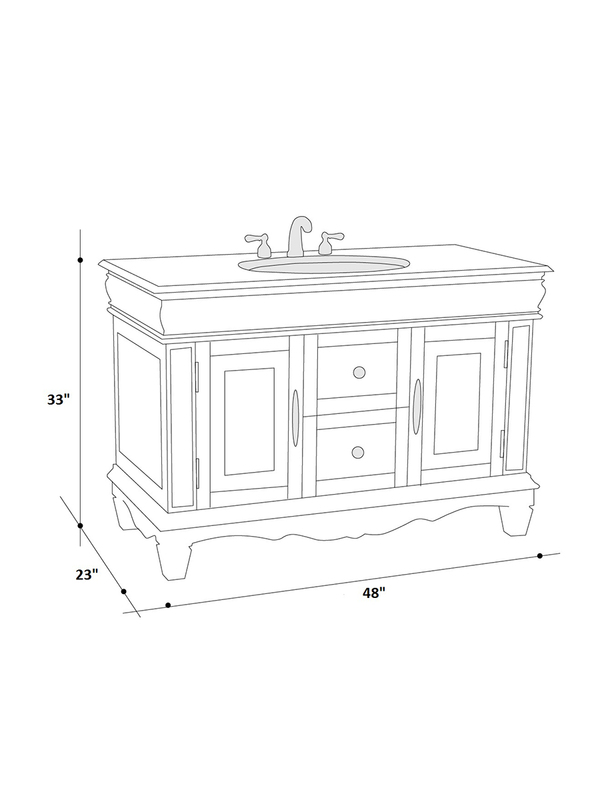 Made with spacious storage room in mind, the 48" Caribou Single Bath Vanity utilizes every inch of its size. From the beautiful clean line detailings along the top, sides and bottoms of the cabinet to its framed effect on each cabinet door, this vanity has traditional sophistication written all over it. Each of its two single-door cabinets and two functional drawers are adorned with antique style hardware, which makes a beautiful complement to its Dark Emperador Marble top. The top comes with an oval ceramic undermount sink and is pre-drilled with a standard 8" spread of three faucet holes.